Some people feel an urge to eat chocolate everyday, and once they start, it seems as if they cannot stop. While many diet experts will tell these individuals that willpower is the key to dropping their chocolate cravings and turning to healthier treats, the truth may not be so simple. Recent research on the subject of chocolate addictions shows that feeding the need for this sweet treat may be more about a person’s internal hard wiring than we once believed. A study at the University of Michigan looked into how neurotransmitters are related to chocolate addictions. Researchers found that certain neurotransmitters in the brain are triggered when chocolate is broken down in the digestive system, and this leads to increased cravings in some humans. While some people can enjoy a small piece of chocolate and simply walk away afterwards, those with certain chemical compositions within their brain and body have a much more difficult time resisting the urge to eat more and more chocolate. While it is true that enjoying chocolate is perfectly fine and even healthy, eating too much can mean an individual is consuming large quantities of processed sugar and fats.. While this information is intriguing, it does not mean that individuals who are constantly eating too much chocolate can simply blame it on science and continue to overindulge. While it is true that enjoying chocolate is perfectly fine and even healthy, eating too much can mean an individual is consuming large quantities of processed sugar and fats, and this increases their risks of heart disease, diabetes and other adverse health conditions. 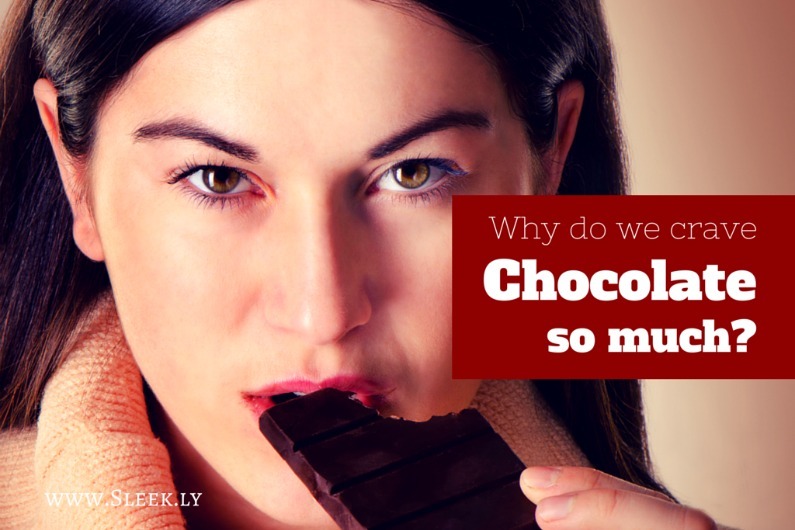 If you are among the many who regularly consume too much chocolate, these tips will help. Realize the power of your brain. Weaning yourself off chocolate slowly is possible because the mind can be reprogrammed over time. With this gradual weaning, you will reduce any negative side effects that can come from trying to give chocolate up completely too quickly and improve your health in the process. While you are weaning your body from chocolate, make sure to eat plenty of protein. Protein reduces cravings and can make it easier to live life with sweet, sugary foods. Protein Flapjack from graze.com. Click here to get your first two graze boxes 50% off! Pineapple Coconut Bar from naturebox.com. Click here to save $5 on your first order! Many people mistake thirst for hunger, and for those with food addictions, this can result in a sudden urge to eat too much of whatever they are craving the most. For those who have chocolate addiction, staying hydrated means beating cravings with a healthier, more energetic body on your side, and this makes giving up the sweets you want the most that much easier. Exercising for even 20 minutes a day can get your mind off of your chocolate cravings, and this will cause you to overindulge less often. The mind has a lot to do with your cravings for chocolate, and just like your cravings for sugar, you can definitely learn how to curb them. Switch to healthier snack alternatives, make your own if you wish (try this chocolate recipe), and follow the tips above.